While in Greece I picked up a Liposan Lipcare that is amazing. I got the Hydro Care version of it. I had been trying to use it less and less to keep it around longer since I did not know if I could get another. I know people in Greece now but I was not sure about emailing them about sending me a chapstick. Well, when I went to CVS the other day I see this object. This packaged object that looks just like my treasured lip balm! Gasp! 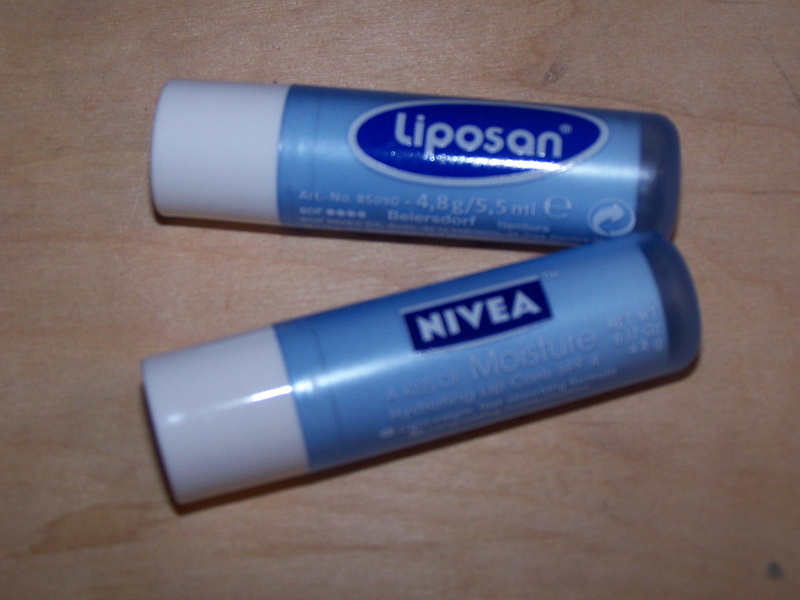 Nivea and Liposan are the same! They just call it Liposan in Greece. Hip Hip Horray! I got their Kiss of Moisture product. Clearly, both are the same product, however my Greek one is much better. But to be honest I think that is just because I spent lik $7 US on it. Weak Dollar- damn you!